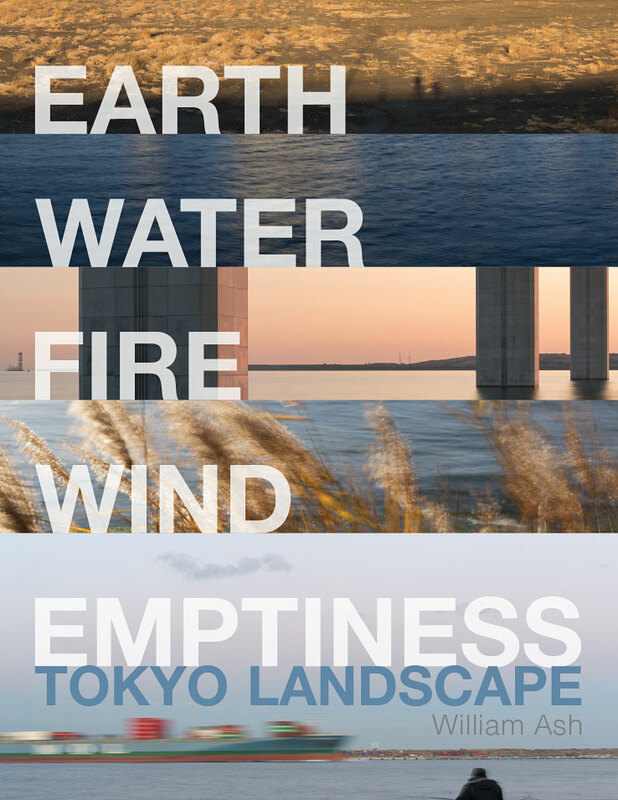 Earth, Water, Fire, Wind, Emptiness is an intimate portrait of Tokyo, Japan. Starting from the simple question of what is the natural landscape of Tokyo, Earth, Water, Fire, Wind, Emptiness reveals the layers in space and time that make up one of the most artificial topographies in the world. The title refers to the elements of nature in Buddhism. Each element refers not only to physical properties of the world, but also the psychological nature of being, creating a dichotomy of the object and observer. 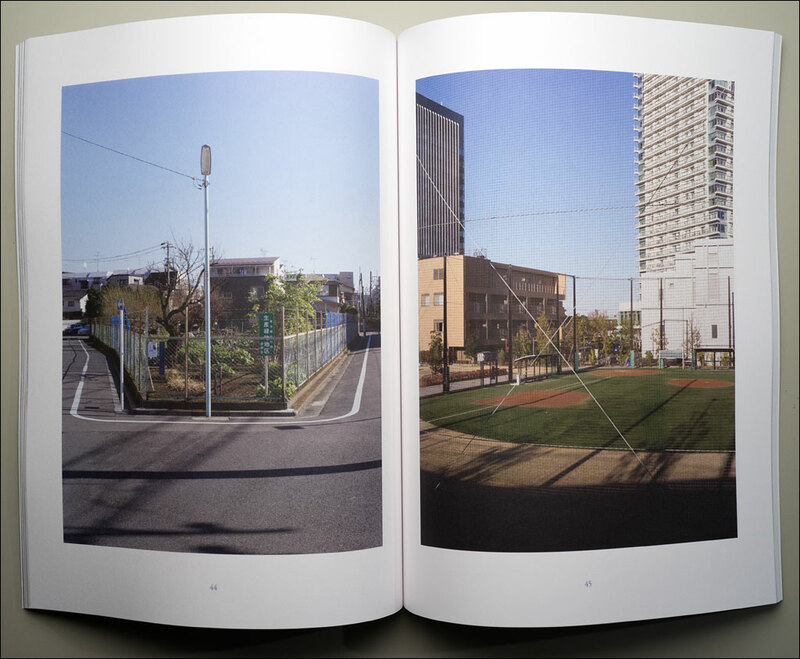 80 color photographs, 1 illustration, text in English and Japanese, 96 pages, uncoated paper, 8.5”x11”. Purchase a copy on our online store. You can read one review of the book at Japan Camera Hunter: you have to scroll to the bottom of the page. More images can be seen on the New Landscape Photography blog with other artist working in landscape photography. The eighth-century document the Kojiki contains the first record of the creation myth of Japan. The god Izanagi-no-mikoto and the goddess Izanami-no-mikoto were sent from heaven with a divine spear to consolidate the earth that was floating on the sea like oil. Dipping the tip of the spear into the brine, they stirred the water and brought up material that congealed into a small island. They continued this work to make the first land. From there, they created the mountains and rivers. And so Japan came into being. Earth, water, fire, wind, and emptiness are the five basic elements of nature in Japanese Buddhism, known as godai, the “five greats.” Each creates our physical reality: earth—land and mountains, bone and muscle; water—rivers and seas, the animating fluid of plants; fire—sunlight and heat, the animating energy of animals; wind—the air and breath; emptiness—the space that contains the world. The spiritual interpretations refer to the nature of being: solidity, formlessness, passion, growth, and consciousness. This dichotomy of the physical and spiritual, the object and the observer, is what creates our world; the distinction between the world and its perception cannot be untangled. At the end of 2014, I returned to Tokyo, a place I called home for ten years. I had a simple question—what is the natural landscape of the city? Can the term natural be used in regards to one of the most artificial topographies in the world? Ever since the creation of Edo Castle in the fifteenth century, now the Imperial Palace, humans have been shaping this city. All the islands and much of the coastline in Tokyo Bay are reclaimed land. The Arakawa, Tokyo’s largest river that cuts through the city in a half a kilometer wide strip, was built between 1911 and 1930. The divine spear of Izanagi-no-mikoto and Izanami-no-mikoto is still wielded by the Japanese. The Japanese word for nature or natural is shizen: literally, “from itself thus it is.” Tokyo cannot ignore its geology nor climate. Disasters—fire, earthquakes, and floods—have sculpted its history. Certainly, a spontaneous ecosystem of plants and animals exist alongside the human within the waterways, land, and structures. Some places were constructed or set aside by the population in some recognition of co-dependence. A city, like a forest, is an ecosystem, evolving through time in acts of creation and destruction. The elementary Tokyo is that resulting structure. The landscape—that world we experience—is forged in our perception. Reclaimed land between two formally separate islands. Click on the image for a larger view.